Burke’s new MarbHD Rubber Floor Tile is a bold departure from the flooring industry’s concept of standard marbled tile. Up to four bright and subdued colors are “marbled” together for a dramatic effect making every tile unique. Reminiscent of polished agate, MarbHD reflects nature’s beauty in a high performance rubber flooring. The large 18 1/8” X 18 1/8” X 1/8” tile format maximizes each tile’s unique veining and color. 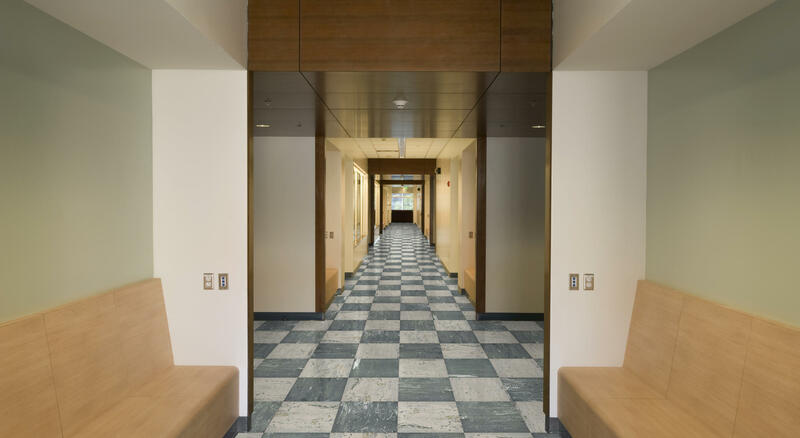 Every color used is included in other parts of Burke Flooring’s Uni-Color palette, making it simple to coordinate wall base and other finishing components. Lay tiles in the same direction or quarter turn them for different design effects. Use as a whole floor, as a border or combined with any other 1/8” Burke rubber flooring. Cleaning and maintenance are easy, using a neutral pH detergent; no topical coatings or wax treatments required.